Tackle the biggest, most iconic marathon in the UK for Leuka, and to find treatments so that leukaemia and blood cancer patients can live healthier and more fulfilled lives. 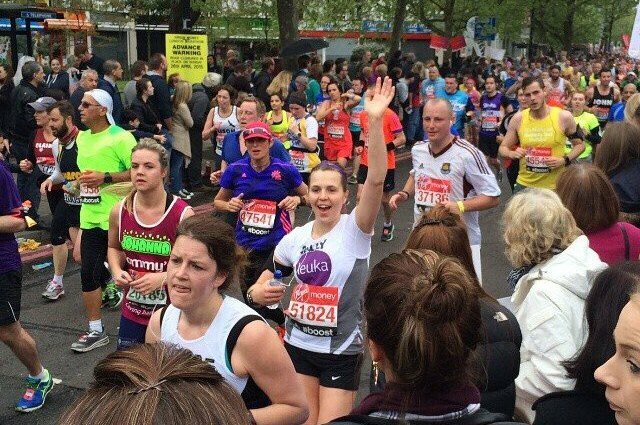 If you're wondering how to get a place in the London Marathon for 2020, look no further. You could be running 26.2 miles through the closed roads of London, passing some of the greatest landmarks the city has to offer, and finishing strong on Pall Mall. People will be lining the streets of London, cheering you on, and you'll cross the finish line feeling like a superstar. What an achievement! There’s really no running experience like it. Plus, if you run the London Marathon for a specialist cancer charity like ours, you'll be making a real difference for leukaemia patients of the future. Personal support from our friendly fundraising team! We are a small, specialist cancer charity who fund leukaemia and blood cancer research. Every day 27 people are diagnosed with leukaemia: that’s more than one every hour. Our vital work aims to translate research findings into new leukaemia treatments as quickly as possible, so patients can live better, longer lives. Research like the IMPACT stem cell clinical trials network, which aims to improve stem cell transplant treatments and get more patients into life-saving clinical trials.